THIS IS A VERY WELL-MAINTAINED HOME THAT HAS A LOT OF RECENT UPGRADES. HARDWOOD FLOORS, CERAMIC TILE, SOLID SURFACE COUNTERTOPS, AND THE INTERIOR WAS REPAINTED IN 2009. 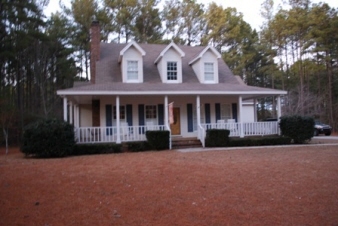 THE HOME HAS A NICE WRAP AROUND PORCH AND IS LOCATED ON A LARGE PRIVATE LOT.